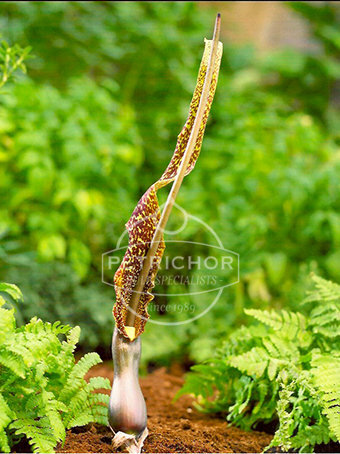 Also called Sauromatum venosum or known as 'voodoo lily'. Grows very attractive foliage. - Can be planted in the ground, pots or containers. - In a shaded or part shaded area. - Cut the foliage off when it withers in late Autumn. - Needs dry conditions in Winter.